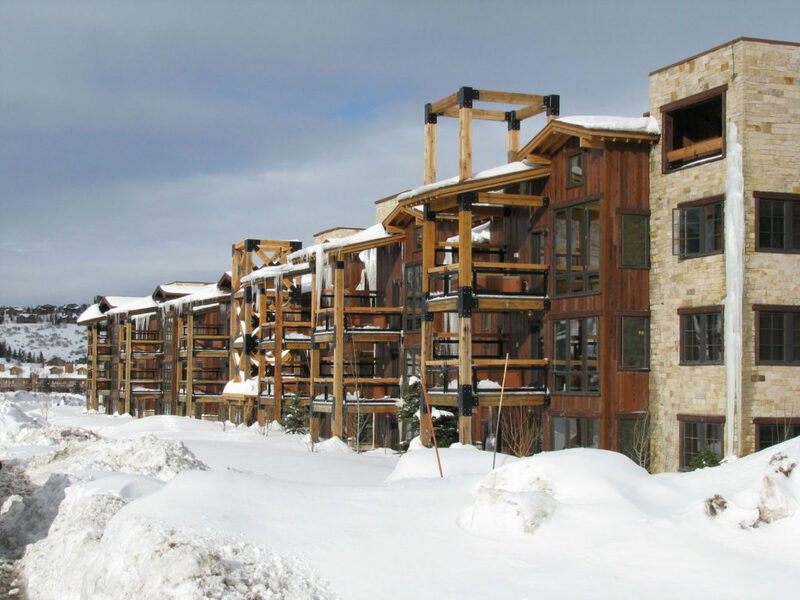 Deer Valley is the ultimate in ski luxury– in fact its skiers only – so yes its exclusive. Deer Valley has everything you look for in a luxury ski vacation, four and five diamond lodging, ski in ski out hotels, award-winning on mountain cuisine, ski valets that carry your skis from your car, excellent grooming, bountiful snow an sun, great terrain, the a cool après ski town of Park City, and proximate major airport of Salt lake City just 30-miles away. 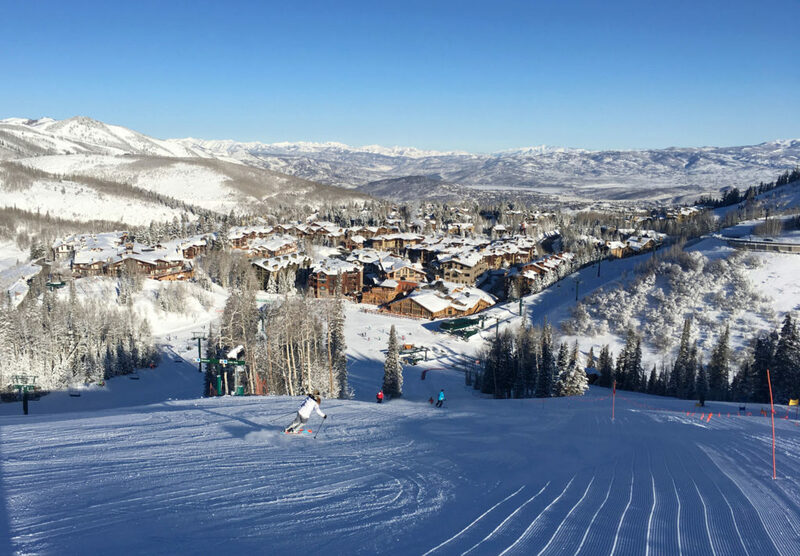 Deer Valley feels almost like a private ski club – snowboarders are not allowed and lift ticket sales are limited to about 8,000 a day to assure everyone has a seat in their lodges, and outside on sunny Utah days. 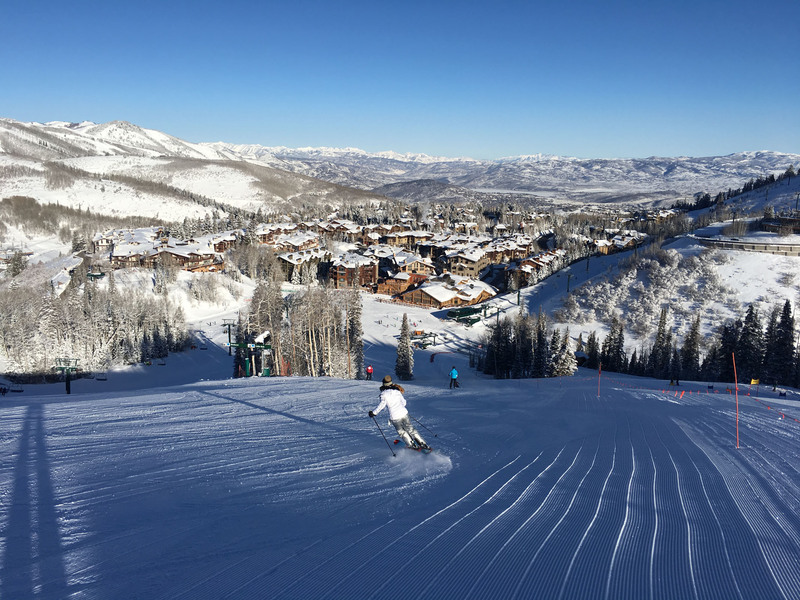 Deer Valley’s terrain is anything but limited, with five unique mountain peaks spreading over 2,026 acres, 3,000-vertical served by 22 lifts including 11 high-speed quads and a leather-upholstered gondola. 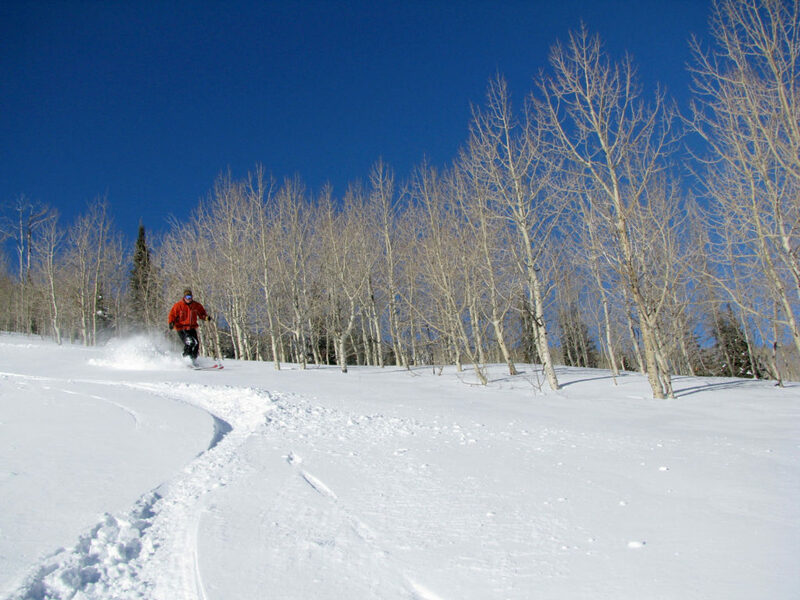 Deer Valley lays out the white carpet with beautiful grooming, ski valet and very well-orchestrated service. 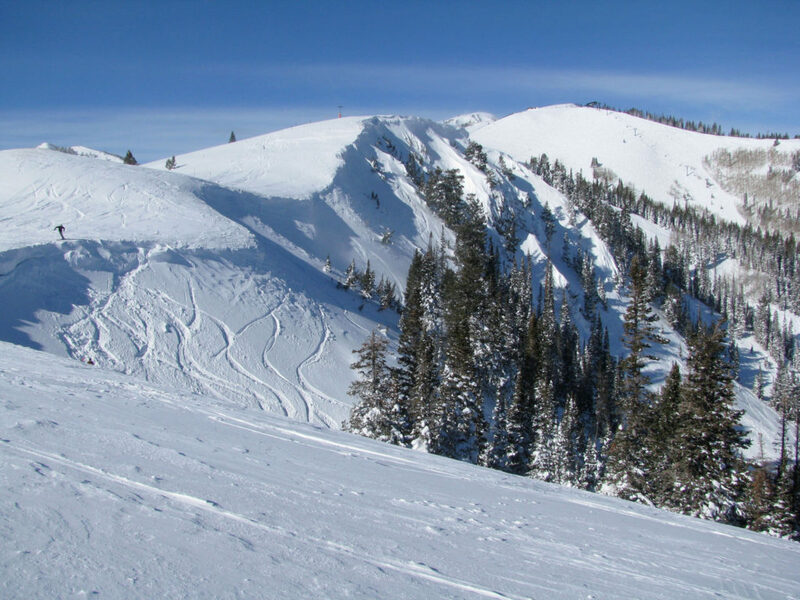 Deer Valley slopes coined over $400 million in silver int he late 1880s. Today the gold rush is in real estate, as magnificent mountain mansions hug the hillsides. Enjoy skiing Hidden Treasure and Legal Tender named for the silver discovered in here in 1868, and check out the slopeside “cabins” that have cashed in. 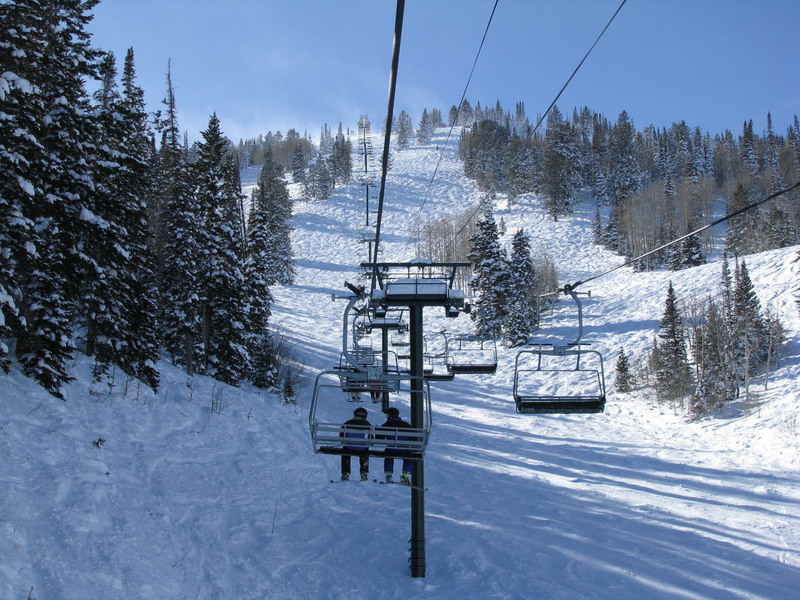 Deer Valley hosts World Cup aerial and mogul events including the 2002 Olympic Winter Games, and annual world famed celeb ski events – like the Deer Valley Celebrity Skifest each December. 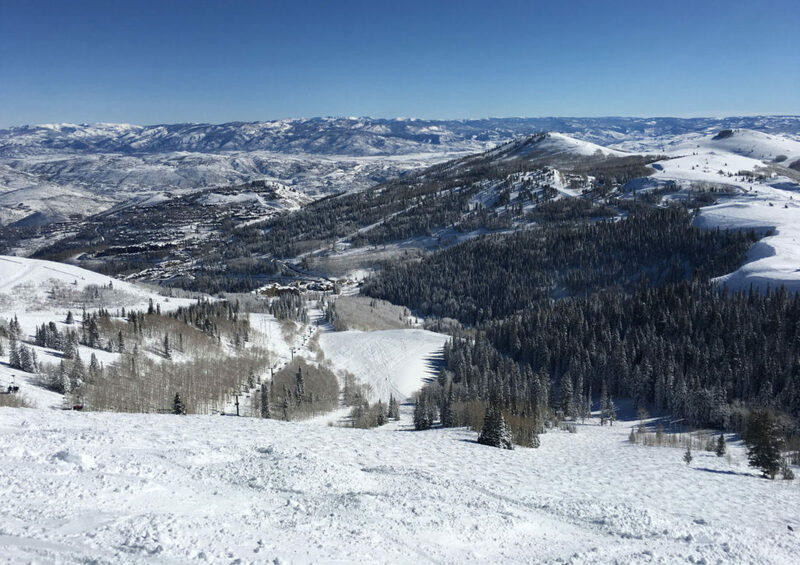 Empire Canyon is Deer Valley’s highest at 9,570’, with Daly’s Bowl offering double black steep with chutes and tremendous tree stashes to ramp up the otherwise manicured tame terrain. The Lady Morgan lift far skiers left, beyond the massive Montage Hotel, offers more open bowl skiing and some pleasant powdery trees. Deer Valley’s lunches are above and beyond. The best burger ever is the Chipotle at Royal Street Café. Ski in to the Montage Burger and Bourbon with slope views for another great lunch in this luxe ski hotel. Or ski to the delightful Austrian lodge, The Goldener Hirsch, for the finest cheese fondue lunch. 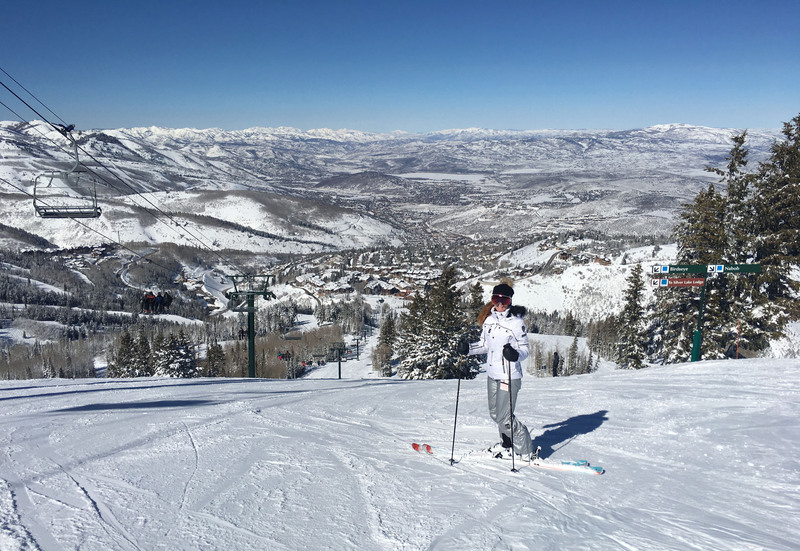 Deer Valley’s best luxury ski hotels are on the mountain, the St Regis and Montage both grace these slopes with beautiful suites, fire pits and spas, and top dining. 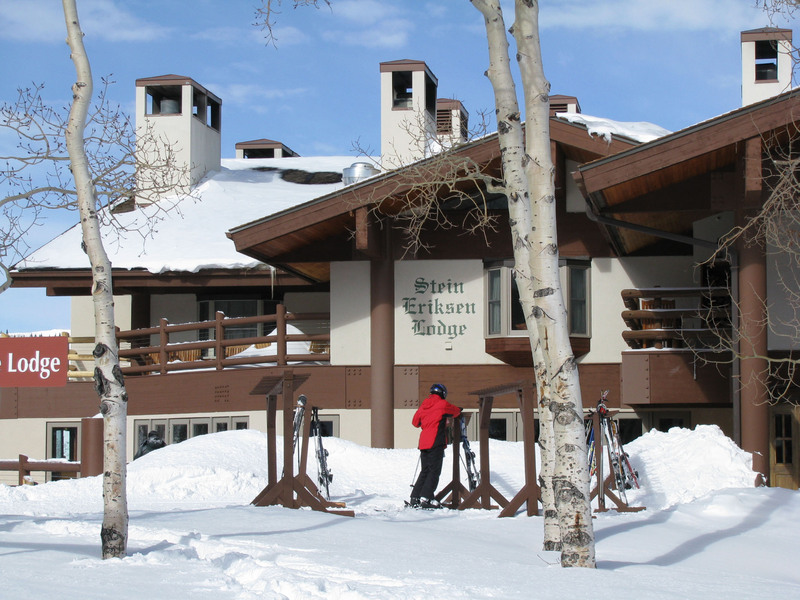 Après ski at Deer Valley, Stein Eriksen’s Lodge is the 5-star place to be seen, the legendary Olympic Gold medalist Stein passed away in 2015, but cocktails on the sun terrace or the cozy bar continue in his historic lodge. 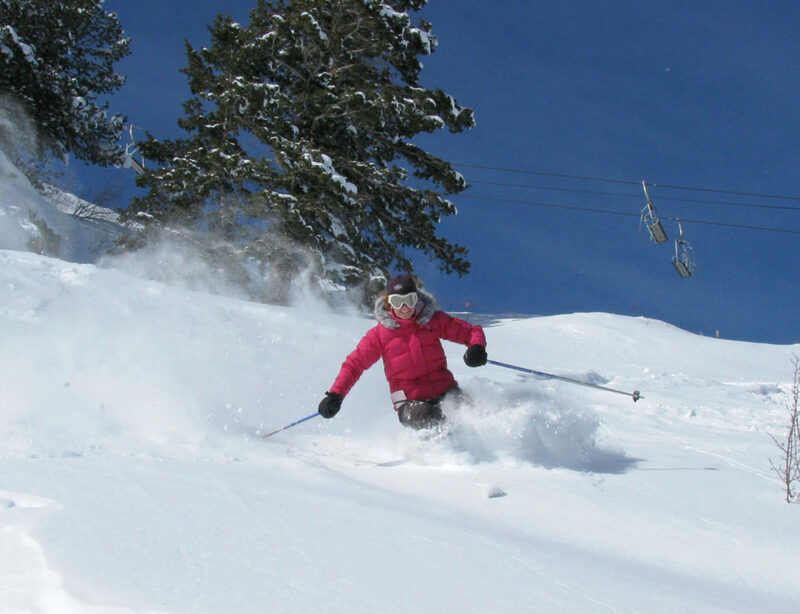 Stein proudly served as Deer Valley’s director of skiing since the resort opened in 1981. 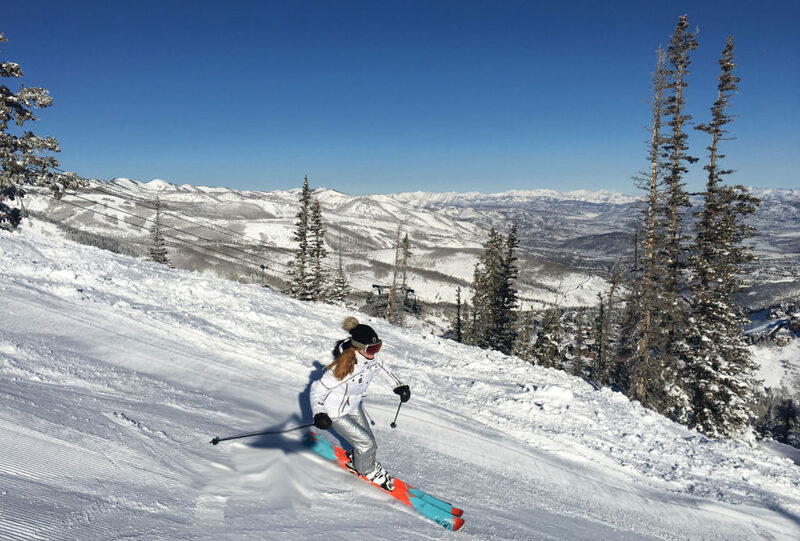 Another Deer Valley après ski option is to ski to the St Regis Terrace Cafe, sip and watch the Fire Garden sparks and the Champagne sabre event. 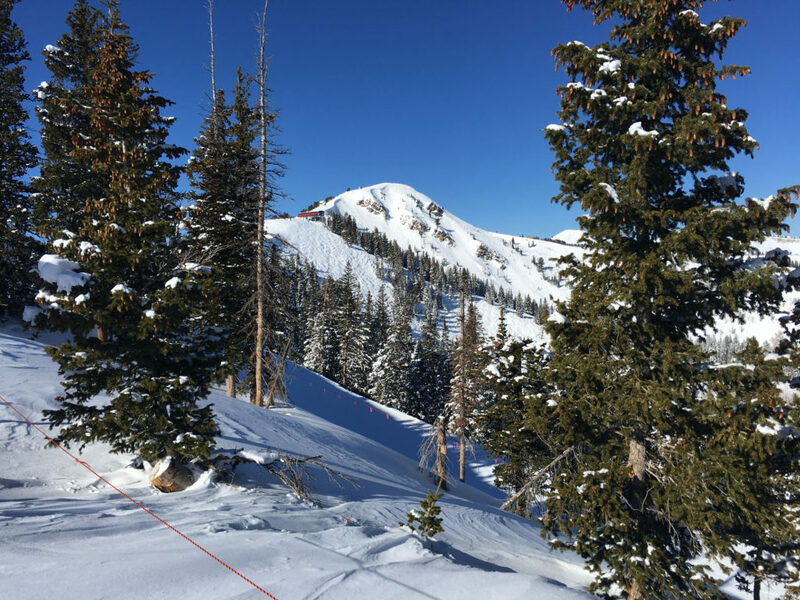 See the top Après Ski in Utah. 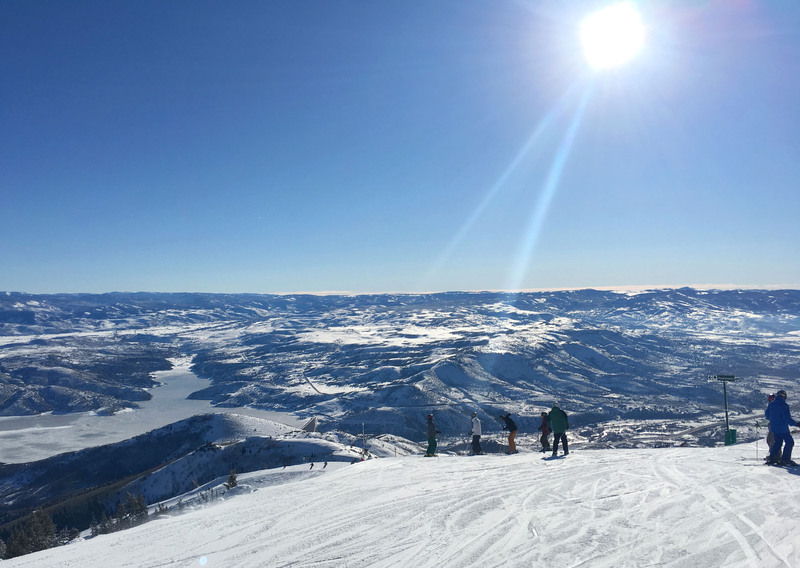 Explore Park City, the fabulously funky Main Street of Park City down the road from Deer Valley, with great whiskey bars, ski shops and restaurants by the likes of Robert Redford. 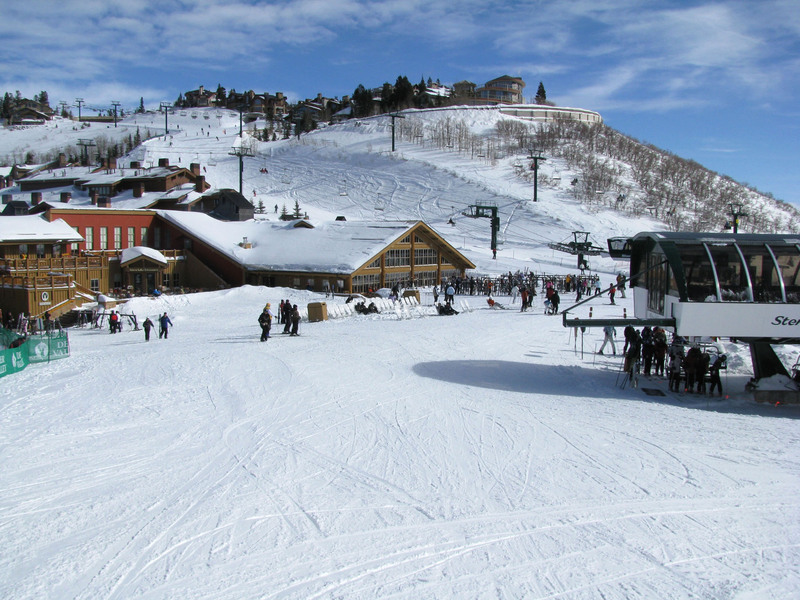 The Sundance Film Festival takes place here every January, with more movie-goers than skiers. Deer Valley Utah Interconnect? 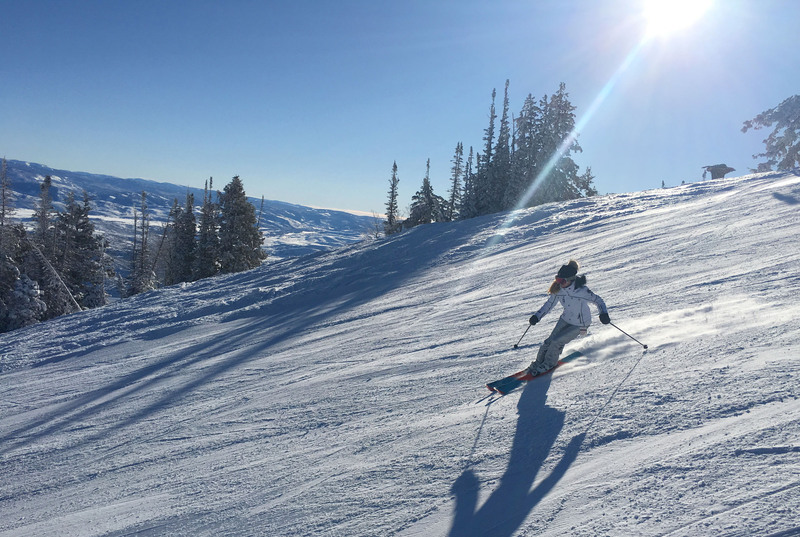 Yes, Deer Valley, Park City and Canyons, Alta, Snowbird, Solitude, and Brighton will all be part of the Utah Interconnect where you can ski from one resort to the next with a guide. 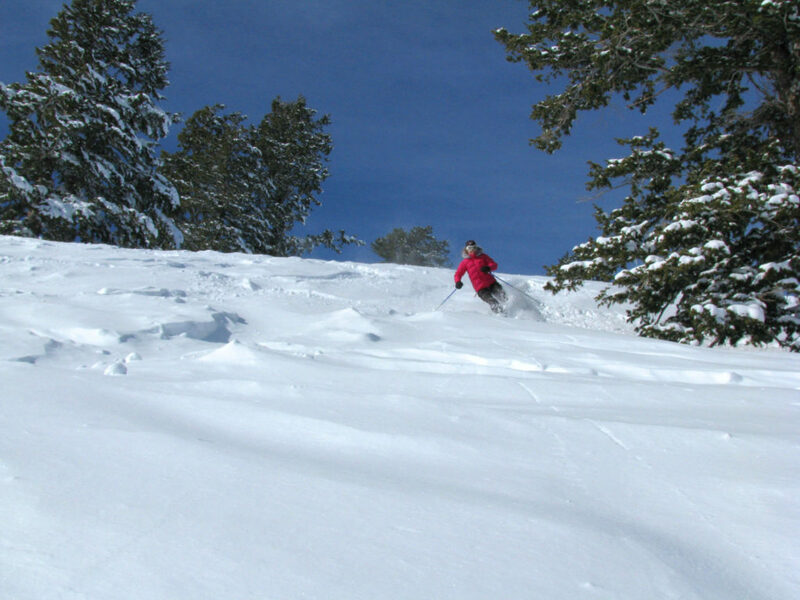 That’s like skiing Europe, in one big ski circuit… 18,000 acres – 6 ski resorts. 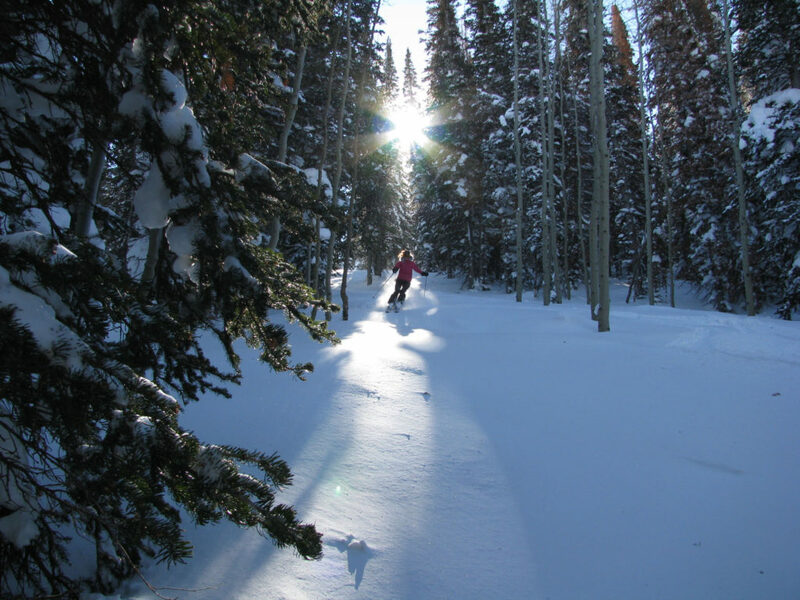 Another reason we love Utah skiing. 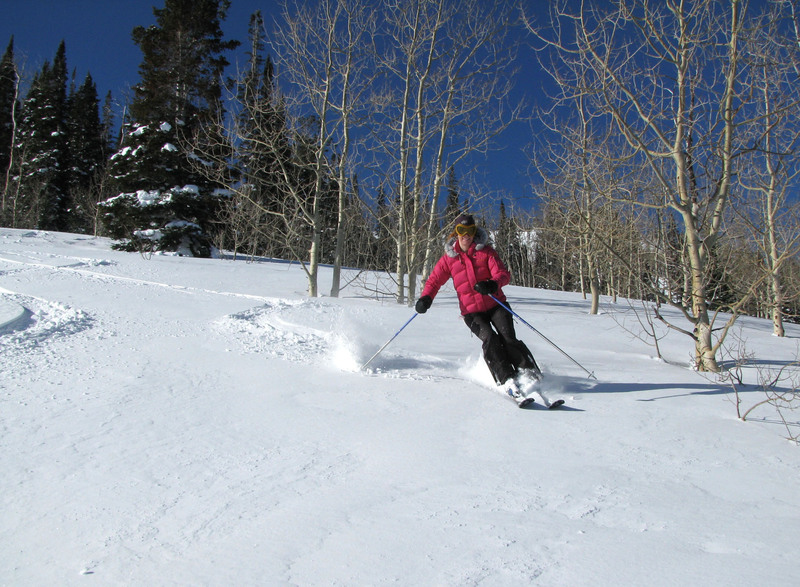 See our Utah luxury ski reviews of Alta and Snowbird too.